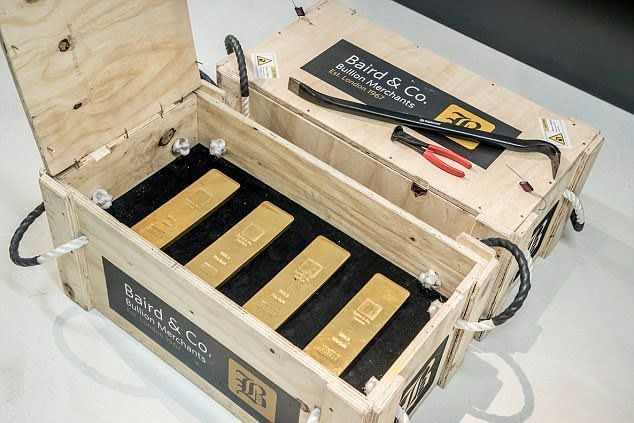 The 24 gold bars weighing a hefty 300kg in total and are together worth more than £10million, depending on daily gold market values. 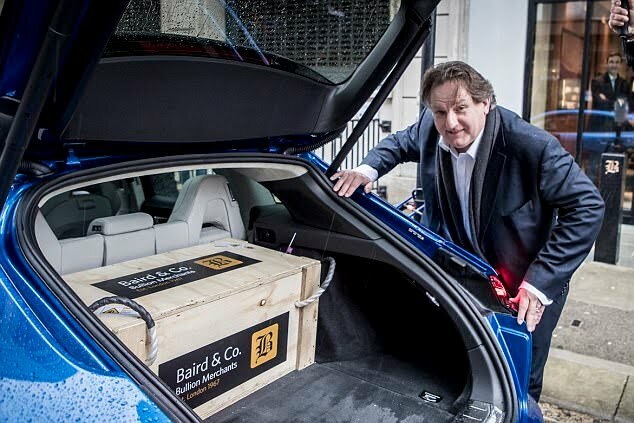 They were divided equally across the three cars, with eight bars together weighing 100kg and worth £3.3million crated up in each of the trio of vehicles. 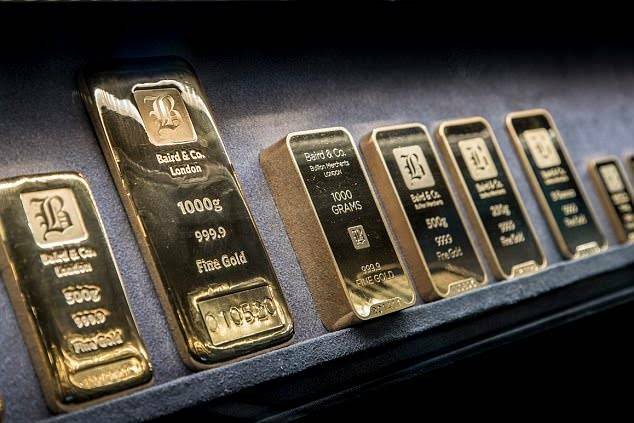 Each individual gold bullion bar weighs 12.5kg (equivalent to around thirteen bags of sugar) is similar in size to a computer keyboard,large brick or small French loaf,and is worth around £420,000, enough to buy a decent three-bedroomed house in many areas. The £3.3million gold bullion in the boot of each car would buy 28 of the £118,828 Porsche Panameras, while the £10million total in the three cars would buy 84 Porsche Panameras. Roads were closed by the Police and there was even a helicopter to keep the whole event under surveillance. Can a Nigerian bank/CBN take this type of risk...To carry £10m(₦5 billion) in a non bullet proof car,no tough looking and heavily armed millitary or police officers.